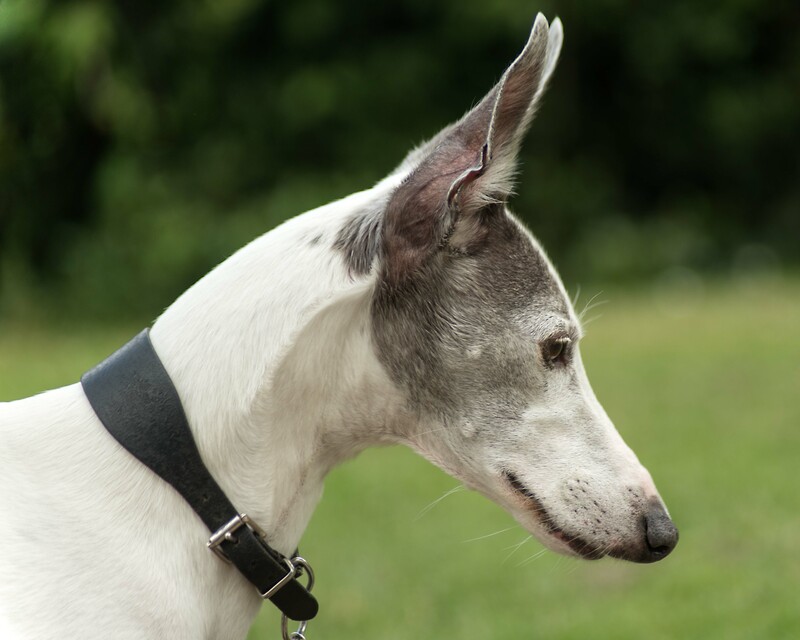 Fudge is a ten year old Whippet and a regular visitor to the Whalebone, along with his owner Roger. Fudge is a friendly lad who likes lots of fuss, home comforts and Mini Cheddars! Despite being almost four years old, French Bulldog Oshi (or Ocean if she’s being a naughty girl!) never fails to gain the kind of reaction usually reserved for puppies, she really can melt hearts! 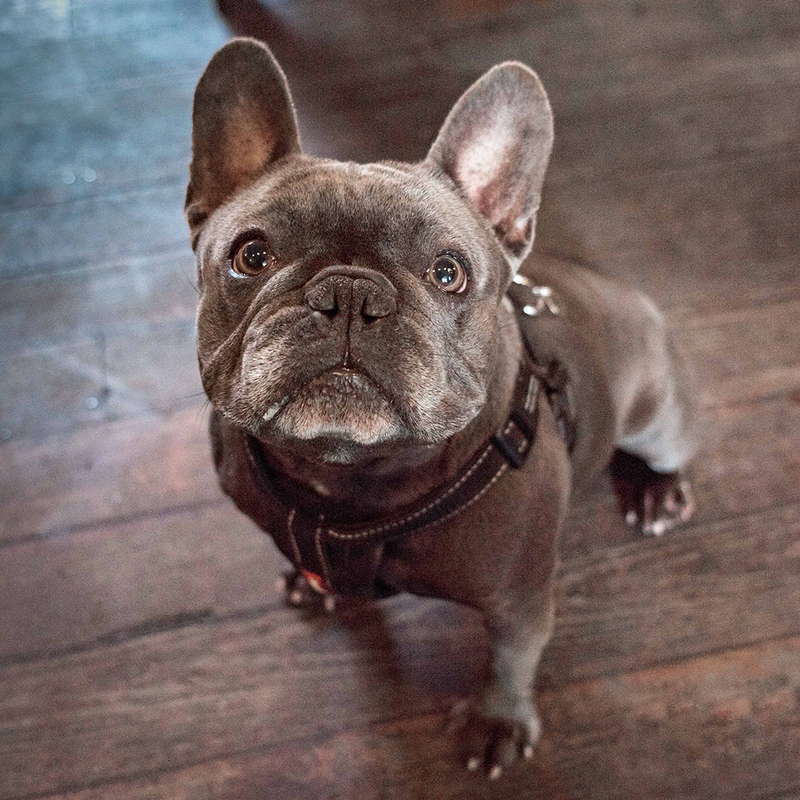 Oshi’s owner Sean regularly pops in for a pint of Peroni or two if passing by when out for walkies, while Oshi laps up being the centre of attention, seeks out treats and receives lots of cuddles. Masie is a nine and a half year old Jack Russell Terrier who loves chasing her ball. She comes in with her owner Alma and her friends Harry, Todd, Lily and Dora and their pet humans Wendy and Simon. Harry, who was rescued in Spain, is described as a two year old ‘Bitser’ because he’s made up of bits of this and bits of that, Todd is an eleven year old Pomeranian who originally came from Battersea Dogs Home, Lily, an eight year old Long-haired Miniature Dachshund, has been blind since birth but never lets that hold her back, and Dora is a seven year old German Spitz who hasn’t had the best of lives but has certainly found a loving home now. Together they are a real mix of personalities united by a universal love of biscuits! There’s been quite a clamour in recent weeks for us to make Rita our Dog of the Month, so here she is folks, in all her glory. Rita is a two and a half year old Sharp Eagle (Shar Pei X Beagle) and a regular visitor to the Whalebone with her owner Graham. Sharp Eagles are renowned for being caring and affectionate, as well as having an uncanny ability to make you smile; Rita certainly manages to demonstrate that when she visits! 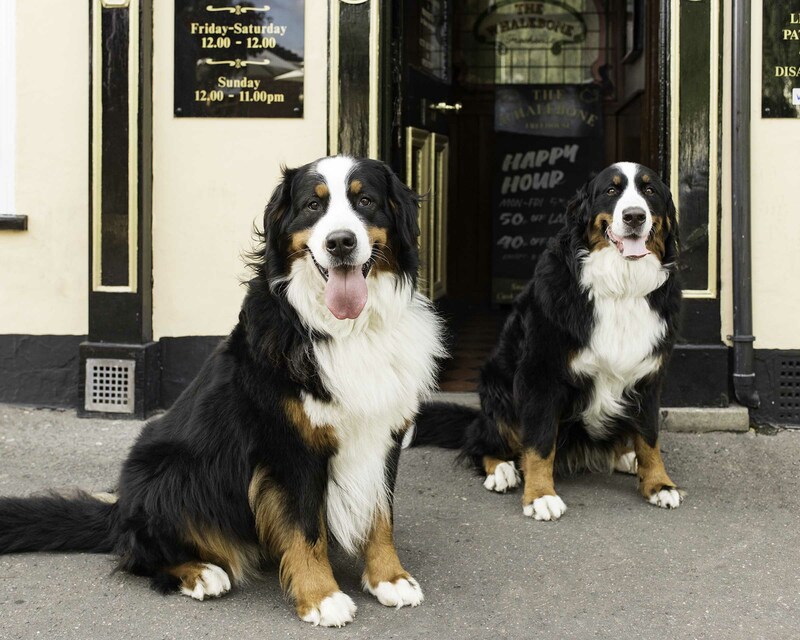 Introducing Darcey (r) and Olha (l), a pair of gorgeous Bernese Mountain Dogs who belong to Becky and Mark, two of our regulars. Darcey (aka Dafty), pictured on the right, is five years old and her hobbies include chasing squirrels and pinching balls, snoring and playing new instruments! Three year old Olha (aka Angel), pictured on the left, likes barking, chasing Seagulls and telling Darcey what to do. She’s also a fan of cuddles, tummy rubs and Sudoku! They’re clearly a rather intelligent pair! Bernese Mountain Dogs, or Berners as they’e affectionately known, originated in Switzerland where they worked on farms herding livestock and pulling carts. Shy by nature but also incredibly friendly and loyal, you know you’ve made a friend when a Berner jumps up and puts its paws on your shoulders for cuddles; weighing in at up to 53kg there’s certainly no way you’ll miss their affectionate advances. Patch is a one year old Jack Russell Terrier who loves coming in of an evening with his owner, Kevin. 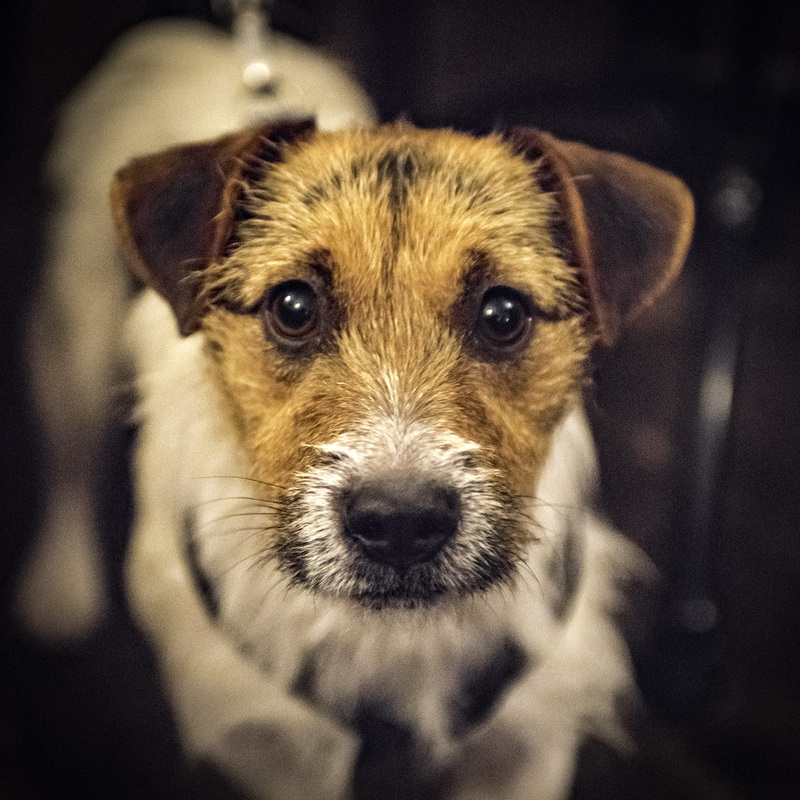 Patch is an adorable but mischievous little scamp who takes great delight in winding up our resident pub dog Harvey! At home, Patch can be something of a rascal too. The bar staff always look forward to hearing tales of this week’s antics, which in the past have included the eating of chairs and the re-landscaping of Kevin’s lawn. There’s definitely never a dull moment when there’s a Patch on the prowl! Meet Milo, he belongs to two of our regulars, Charlie and Emma, and is a one year old Blue Staffie who’s full of energy and personality. 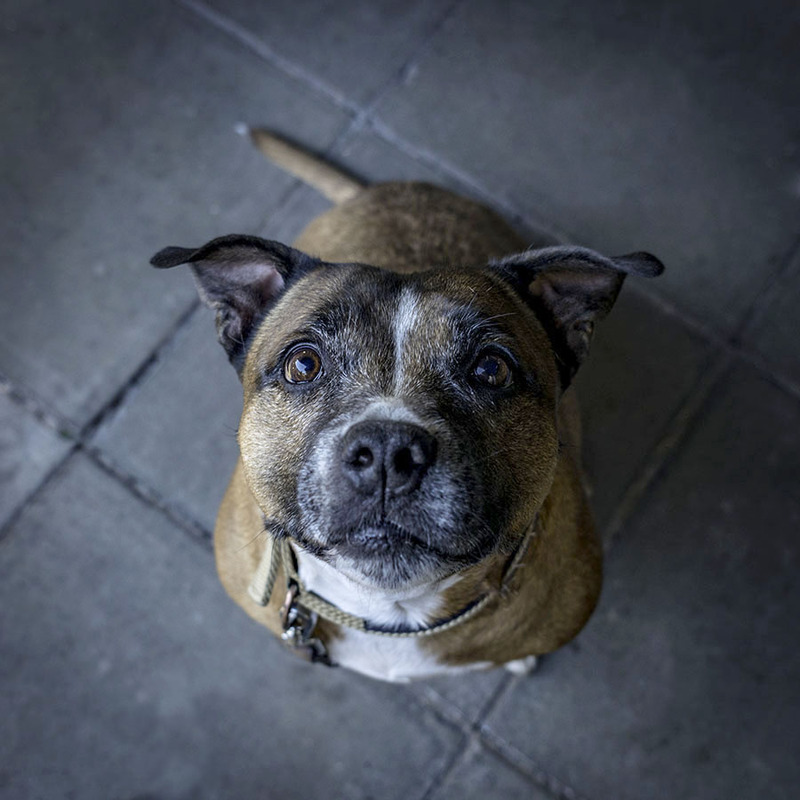 Staffies are often given a bad name, but Milo is a great example of what loving and loyal dogs they really can be when they have the right owners. Being an exuberant youngster, Milo is a fan of absolutely everything and everyone, but he’s a treat-seeking missile when it comes to biscuits; that’s what’s holding his undivided attention for the photo! He knows he’s in line for a treat whenever he visits us, and he knows that Rob, our Bar Manager, is a soft touch when it comes our canine visitors so there’s a very good chance he’ll be getting more than one! 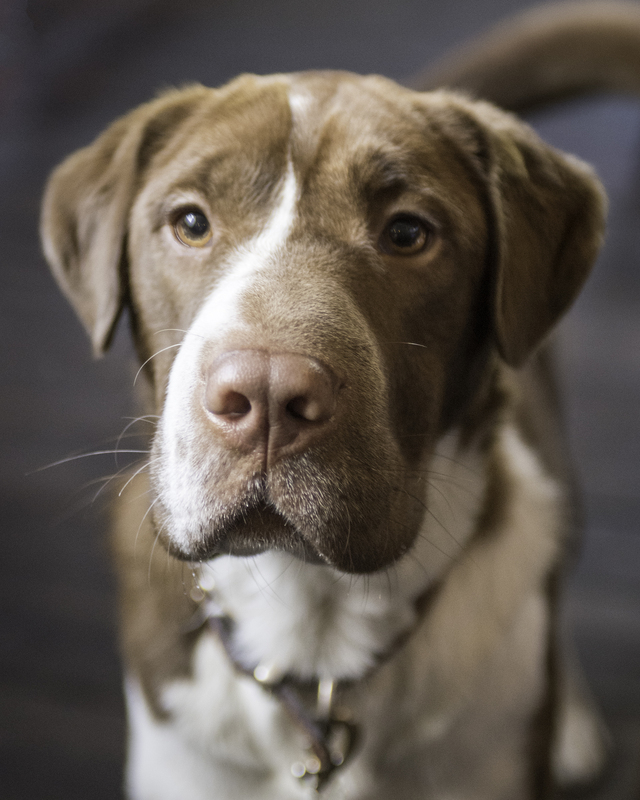 Meet Nikita, the Whalebone’s latest Dog of the Month. 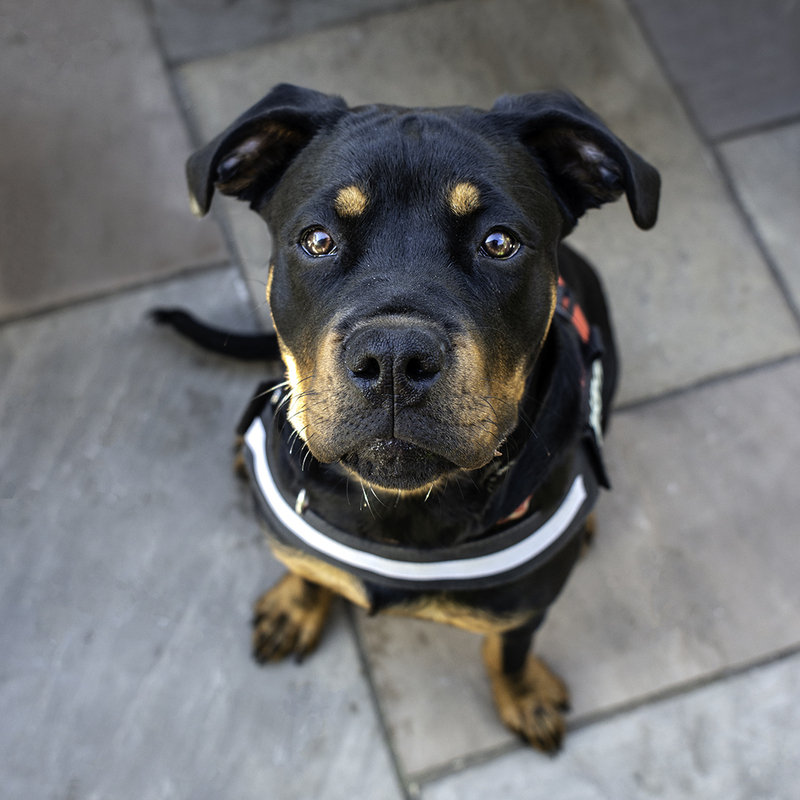 Nikita belongs to two of our regulars, Sherilee and Keith, and is a six month old Rottweiler crossed with a quarter English Bull Mastiff. Although she’s rapidly turning into a really big girl, Nikita has been coming in to the Whalebone since she was twelve weeks old and small enough to sit in your hand… As beautiful as she is, you would certainly know all about it if she sat on you now! Nikita loves everybody she meets, although she’s always extra fond of anyone who might have a tasty treat or two for her: she is after all a growing a girl. 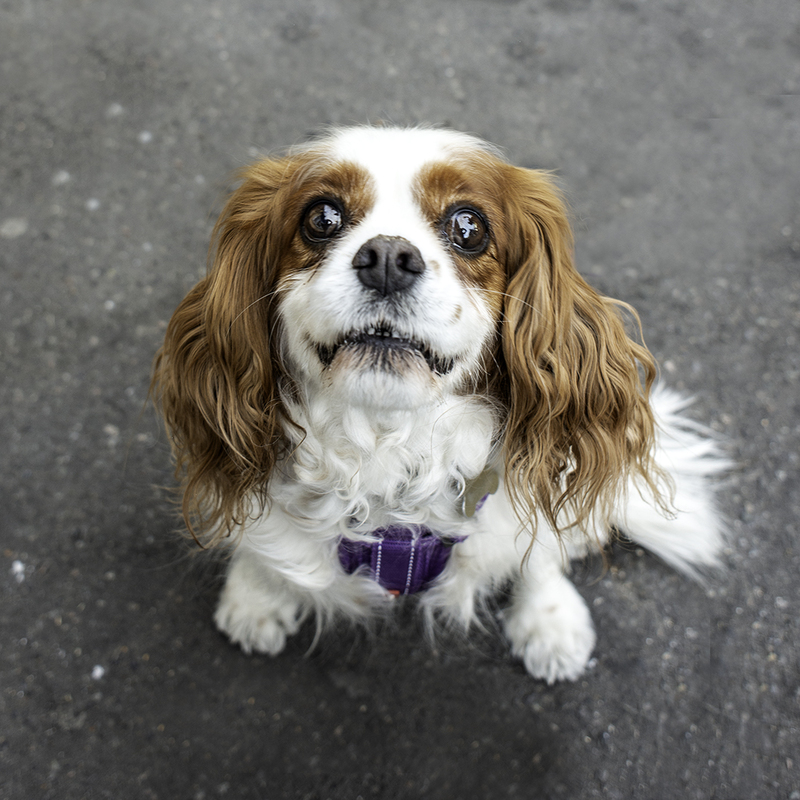 Introducing Ellie, an eight and a half year old Cavalier King Charles Spaniel who regularly drags Brian, her owner, in to the Whalebone as he tries to walk past. Despite being a small breed, Ellie certainly has a surprising amount of strength and determination on her side and it’s very rare that Brian manages to walk past once Ellie has decided she’s coming in for some fuss, a biscuit and a catch up with pub dog Harvey – she’s got a serious soft spot for ol’ Harv! 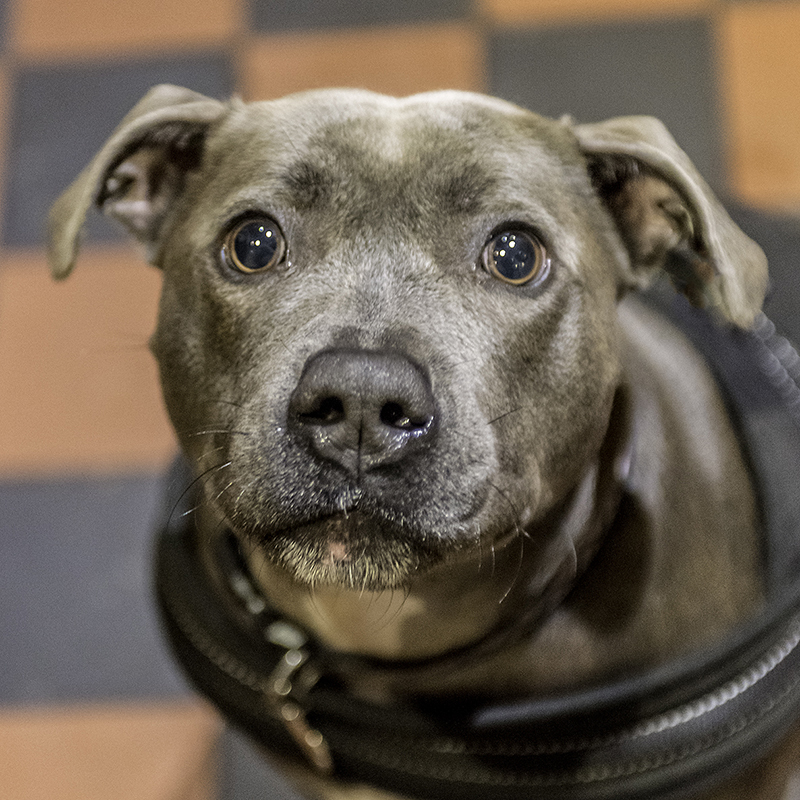 Introducing Doris, an incredibly friendly Staffie who has just celebrated her tenth birthday and regularly brings her owner, Nick, in for a pint or two as his reward for taking her walkies! Doris is a massive fan of tennis balls, and can often be seen in the pub carrying one, although if you catch her at the local park there’s a fair chance she’ll have two or three of them in her mouth, although she willingly surrenders them if there’s a chance that a treat might be coming her way. 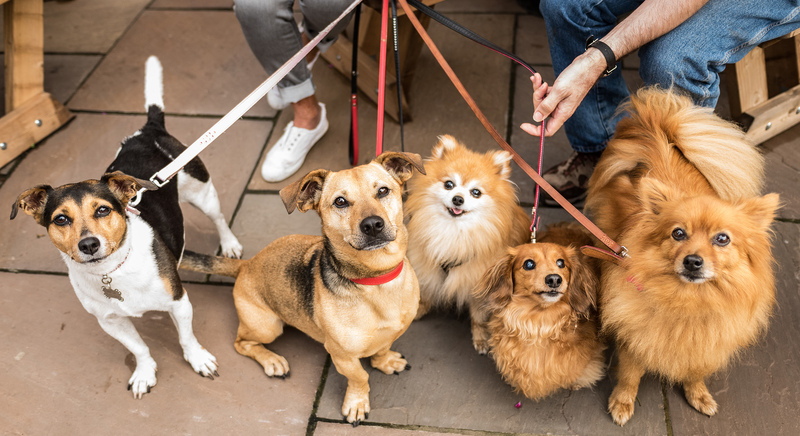 Luckily we always have a jar of treats at the bar to keep your four-legged friends happy, along with a wide selection of quality drinks and snacks to hopefully keep you smiling too.